Our Pattaya lawyer will professionally assist you for any kind of contracts. Condominiums land and houses sale purchase contracts, lease contract, rental contract, work contract, marriage contract etc. how to properly draw up a contract. A legally well done contract has force and effect of law between the parts. - In case you are asked to sign a contract proposed by a large company (for instance a condominium-developer) you would better seek the assistance of a trusted lawyer to find out if your interests are fully protected. All you need to know before renting out or paying for renting a property in Thailand. As we have often underlined, Thailand is a country that allows a wide freedom in relation to private agreements; today we will analyze and dispel all possible doubts about renting a property in Thailand from a double point of view, i.e. that of the lesser and the lessee. 1) A lease contract cannot last for more than 30 years. In fact, according to the law "The duration of a hire of immovable property cannot exceed thirty years.” If it is made for a longer period, such period shall be reduced to thirty years. The aforesaid period may be renewed, but it must not exceed thirty years from the time of renewal. Make no mistake: The last paragraph of section 540 of the Thai Civil and Commercial code doesn't mean that you can make a 30+20 years contract! It simply means that the contract can be renewed at any time for another 30 years maximum obviously with a new written contract which will then have to be registered at the Land Office. In other words, all those "three-years-plus-three" contracts that are so much in fashion here, especially for commercial buildings, are legally a total load of nonsense. The law couldn't be more clear (Section 538) which also establishes that "A hire of immovable property is not enforceable by action unless there be some written evidence signed by the party liable". This might seem self-evident, but you would be surprised at how many people think that they can stand on their rights with a simple oral agreement or a handshake, maybe in front of witnesses! 3) Non-payment of rent. Well, this is a very common issue all around the world. In case of non-payment of the rent, Section 560, establishes that "the lessor may terminate the contract...but, if the rent is payable at monthly or longer intervals, a letter must first notify the lessee (hirer) that payment is required within a period of not less than fifteen days. On the other hand a contract of hire is terminated at the end of the agreed period without notice. If at the end of the agreed period, the hirer remains in possession of the property and the lessor knowingly thereof does not object, the parties are deemed to have renewed the contract for an indefinite period. Again make no mistake "indefinite period doesn't mean forever or for another period tantamount to the length of the original contract, it means "indefinite" namely until the letter will consent to the lessee to stay. We have also to keep in mind that A contract of hire of immovable property is not extinguished by the transfer of ownership of the hired property while the transferee is entitled to the rights and is subjected to the duties of the transferor towards the hirer. In other words if the owner sells a house for example, the buyer of the house must respect the legally binding lease contract and he will have the right to collect the rent. This is another extremely popular and important point very often, too often I dare say, totally misunderstood. Provided that the lessor has solid grounds to terminate the contract, it doesn't mean that he can easily evict the lessee as in the far west movies or shutting down the utilities as electricity or water. Not at all. The only authority that can evict a tenant in breach of the contract is, as always, the court. And the procedure could be not as easy as one may think: the court will not fix a hearing before at least 45 days and , of course, you normally need a lawyer to start a lawsuit. Finally do not forget that a contract is, by definition, an agreement made between two or more parties and that it bonds both. Even though it rarely happens due to the expenses necessary to revert to a court of justice and to the fact that he normally holds two months rent upfront as guarantee, a landlord might sue a tenant to not have entirely respected the contract in all its clauses. The bottom line then, or if you wish "the moral of the story", is : be very cautious and distrust the cheap pre-printed contracts to spare a few baht. As usual, prevention is better then cure. The assistance of an expert is, even in this case, highly recommended. The eviction, the trespassing... and when a Prince wants to become a King, but finds himself as a frog! In the first part of our article we have called the hire contract the " The Little Prince" for, in a country like Thailand that guarantees the free agreements between parties, any contract has a very high relevance and must be cautiously done. We have also briefly mentioned the right procedure of expulsion including the case of delinquency. For the sake of our readers, we want today to remind you as to a recent sentence of the supreme court which has established how, locking out somebody that still has the legal right to occupy a premises, shall be considered "trespassing". Make no mistake: the fact that a tenant hasn't paid the rent doesn’t "automatically" means that he has no rights to occupy the rented premises if a lease contract still stands and it hasn't yet been legally cancelled. To give a clear example: if you rent out your property to somebody that doesn't pay his rent on time, you have no right to lock him out of the premises and if you do, you will risk to be sued for trespassing. Trespassing in Thailand is a serious crime, punished with a sentence that can reach one year of prison, if committed during the day, and up to 5 if perpetrated at night! Tough, among many other reasons this is possibly one of the most important reasons why, before signing a lease contract, you should seek the advice of an expert in order to protect yourself and/or your property from dangerous or, at least, ghastly surprises and unpleasant consequences. In our last article we have also emphasized that a lease contract with a length longer than 3 years, to be valid, must be necessarily be registered at the pertinent public office (Land Department). 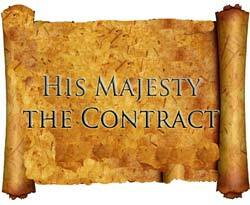 However, there is an exception: "The Hire-Purchase Contract" or: when a Prince wants to become a king. As the wording suggests, a "Hire-Purchase" contract is a sort of hybrid a "Luk-Krueng" we might say, or better, a combination between a hire contract and a purchase contract. `A hire-purchase is a contract whereby an owner of a property lets it out on hire and promises to sell it to, or that it shall become the property of, the hirer, conditionally on his making a certain number of payments (Section 572).” In other words, you can rent a property with the right to buy it after deducting the rentals from the price of the sale. The hirer may at any time terminate the contract by redelivering the property at his own expense to the owner (Section 573). And finally.... The owner may also terminate the contract in case of default of two successive payments, or breach of any material part of the contract; in which case all previous payments are forfeited to the owner who is entitled to resume possession of the property. In case of breach of contract by default of the last payment, the owner is entitled to forfeit previous payment and resume possession of the property only after the expiration of one installment period (section 574). Et Voilà! You might think... as we say in Italy "fatta la legge, trovato l'inganno"... every law has its loophole! In fact the Hire-Purchase, not only provides both, landlord-seller and tenant-purchaser with clear and well established rules and guarantees, it doesn’t demand other requirements than to be made in writing. No registration is required, even for contract with a length much longer than tree years! This is exactly when the Prince (the Hire contract) that wanted to become a King (a Hire-Purchase contract) will find himself to be only an ugly frog! Furthermore section 155 recites: "A declaration of intent made with the connivance of the other party which is fictitious is void ........... If a declaration of fictitious intention...... is made to conceal another juristic act, the provisions of law relating to the concealed act shall apply".